You usually have to be a bold dresser to try any of the recent sheer trends, however, there is one that is the exception to that rule. This month, we have noticed lots of elegant sheer silk organza blouses worn with either a bra, bikini or delicate camisole underneath. Prada has been a leader of the organza trend, with a number of beautiful see-through blouses in pistachio green and soft lilac. The sheer, billowing sleeves look romantic and timeless and give an air of Grace Kelly in High Society (or, depending on the styling and colour, can be a more high-octane, risk-taking look). 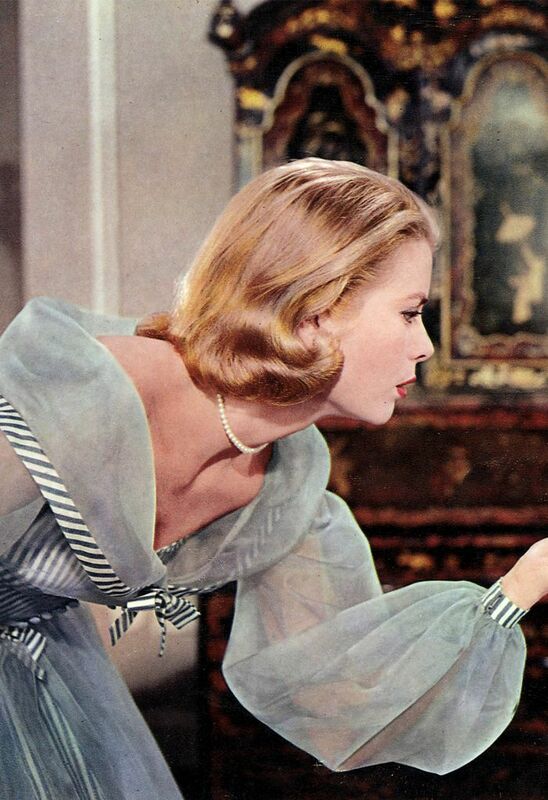 In High Society, Grace Kelly’s gowns all had sheer silk organza statement sleeves. Keep scrolling to see how to wear the see-through shirt trend and shop our edit of the best ones around. Style Notes: Adenorah shows that a sheer shirt can look surprisingly classic so long as you opt for the right shade. Her brown Massimo Dutti sheer blouse looks expensive when paired with a top-handle handbag and a pair of high-waisted jeans. Style Notes: Sheer blouses aren’t just for the beach, as Who What Wear’s Kat Collings wore her white see-through J Brand shirt over a bikini top. Style Notes: This blouse combines two of the prettiest trends for 2019: powder blue and sheer organza. Style Notes: This Zara polka-dot blouse has been really popular this year—and it also comes in green. Style Notes: This pink organza blouse is by the buzzed-about Instagram label Aurore Van Milhem.